The historical and impressively designed churches in the country aren’t the only ones pilgrims should visit this Lenten season (READ: The Nolisoli.ph Visita Iglesia Guide). Aside from Visita Iglesia, Roman Catholics also came up with another way to pray and reflect during the Holy Week outside churches; and it’s by establishing prayer gardens and parks on landscapes with tranquil atmosphere. 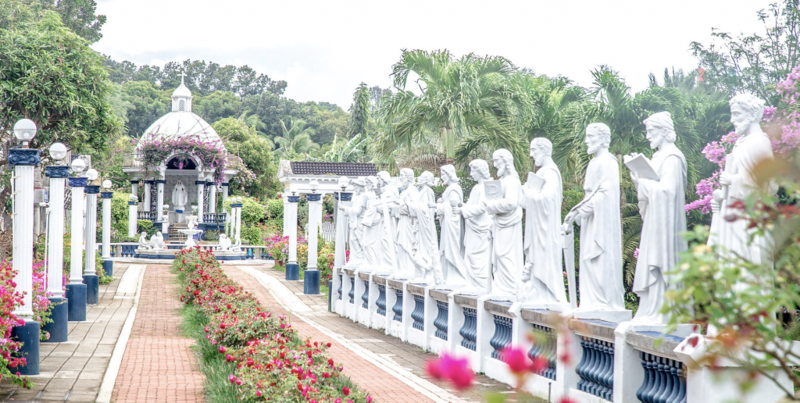 Seen in these prayer parks are sculptures and other structures that depict either the area’s patron saint or a Veneration of Mary (or both) and the Stations of the Cross, the 14-step devotion that commemorates the events that lead up to the Passion of Christ. It starts with the Agony in the Garden scene and ends with the burying of Christ in the tomb. 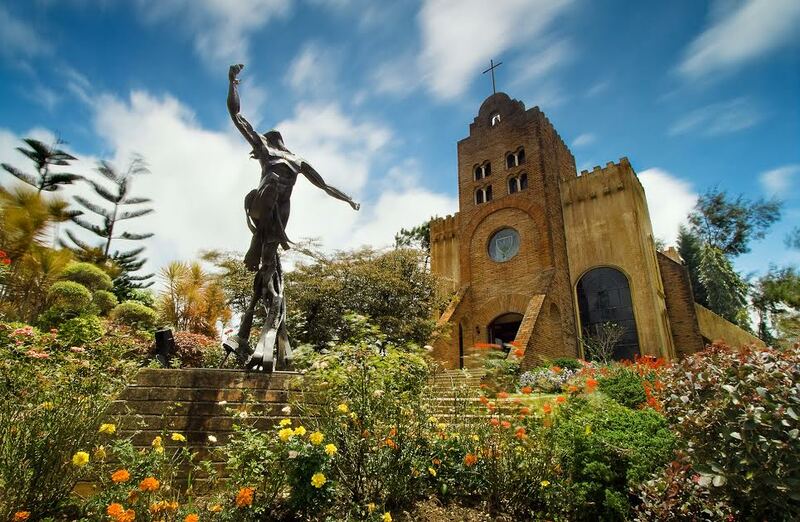 Our first stop in this list isn’t exactly a park, but it deserves attention because the Stations of the Cross on it are mostly sculpted by the Father of Modern Philippine Sculpture himself, Napoleon Abueva, along with other legendary artists: Ramon Orlina, Eduardo Castrillo, Jose M. Mendoza, and Abdulmari de Leon Imao Jr. 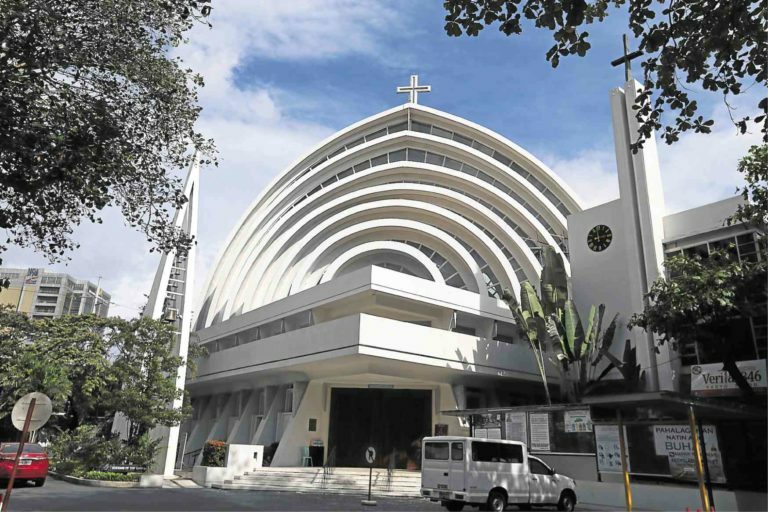 The church, located within a Magallanes compoiund, was first designed by National Artist for Architecture Leandro Locsin. However, everything was destroyed by a fire in 2004. 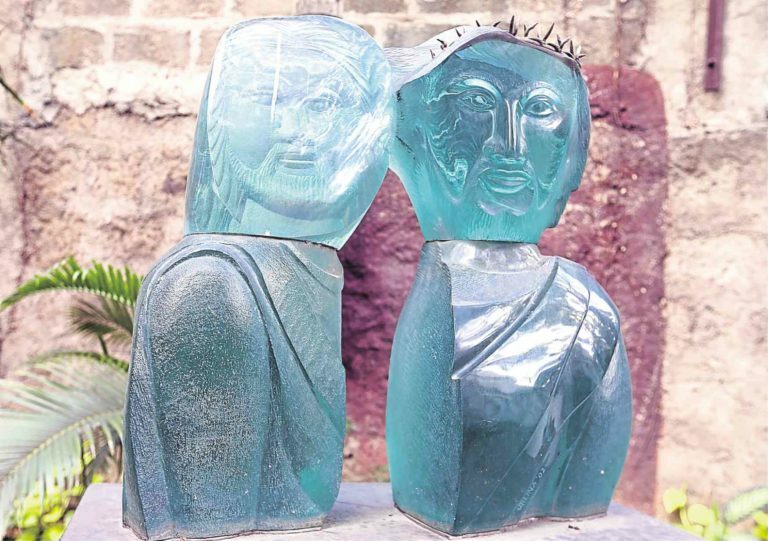 Architect Dom Galicia led the reestablishment of the church and kept Locsin’s original carillon design while Ildefonso Santos Jr., another parishioner and National Artist for Architecture, tapped a number of veteran artists to create metal, glass, and stone sculptures representing the Stations of the Cross. It’s displayed on a curvilinear garden also designed by Santos. This prayer park is heavenly. For over 30 years, it has been a favorite of the pilgrims because of its solemn and beautiful surroundings. Upon entrance, a large sculpture of Christ greets you along with a white-washed church that bears European designs. Flowers of all kinds dominate the place—from the stairs to the life-size sculptures depicting the Stations of the Cross. Perched atop a hill in Batangas and far, far away from the bustling city is this serene area often visited by retreat attendees. It’s well-known for its tagline “Closer to nature, closer to God” and for its grandiose Transfiguration Chapel which is one of the most sought-after wedding venues in the country to the point that when you book now, your wedding should be at least five years away (yes, their earliest available date as of now is Feb 2022). Below the chapel is a slope overlooking the breathtaking hilltop views. Displayed along the slope are 14 wooden structures representing the site’s version of the Stations of the Cross. It passes by a hanging bridge that leads to a hidden chapel. This is a popular Lenten season destination for devotees all around the country, especially those who seek healing, gaining more than a million of visitors during Holy Week. It is a home to hundreds of structures and images of saints and Venerations of Mary, a church with a “prayer lock station” (similar to Paris’ “love lock station” on a bridge), and its own Garden of Eden where families can lounge around and have picnics. The trail to Kamay ni Hesus is also an adventure. Most people prefer to pray during the 300-step stairway to heaven-like path towards the site’s famous 50-foot statue, which is actually deemed as the world’s third tallest Risen Christ icon. It may seem unusual to see a prayer park situated in an resort where an agricultural farm, a recreational place (with zip lines, swimming pools, buggy cars, fishing lakes, and all), and a pilgrimage site all in one place. But Garin Farm works. Although it’s known for the recreational activities available in the area, the site’s main feature is the 456-step staircase that lead to a cross with its own “replica of heaven.” The “replica” shows angels blowing their horns, welcoming visitors to the white-washed cloud-like platform on top of the high staircase. As you walk up the stairs, you’ll pass by structures depicting key scenes in the life of Christ. 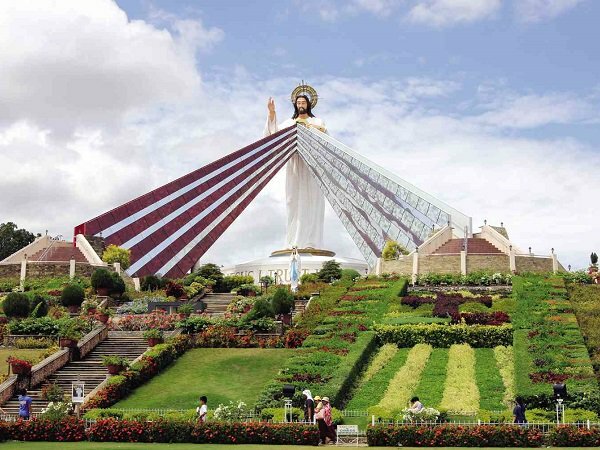 There’s a 50-foot statue of Jesus as the Divine Mercy overlooking the nine-hectare complex situated on a hill near the Macalajar Bay. Surrounding the statue are manicured flower fields that would remind you of the gardens in Burnham Park in Baguio. Only in this one, you won’t hear groups of people talking or lounging around, which gives the site a more solemn and soothing ambience for its visitors. Because of this, many devotees all around the country flock to Misamis Oriental. In 2013, Inquirer Mindanao met Luna Chan who regularly travels from Bukidnon to El Salvador every weekend to celebrate the Holy Eucharist. “Coming here has always given me a sense of peace that I do not find elsewhere,” she said in an interview with Mindanao reporter Cai Panlilio. 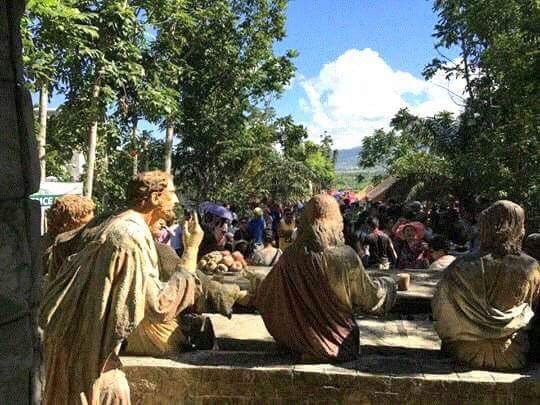 Every Lenten season, more than 50,000 pilgrims visit this hill in Albay to commemorate the life and Passion of Christ through the 14 life-size figures built on the area a decade ago. In a 2018 Inquirer article, a devotee said senior citizens or persons with disability who would like to visit the top of the hill would be given assistance through free rides on the site’s electric tricycles. Like Makati’s Garden of the Way of the Cross, this isn’t exactly a park (there aren’t actually many green landscapes in the metro. READ: Parks, plazas and other public spaces are vanishing right before our eyes), but it’s still worth mentioning because of its unusual way of depicting the Passion of Christ. 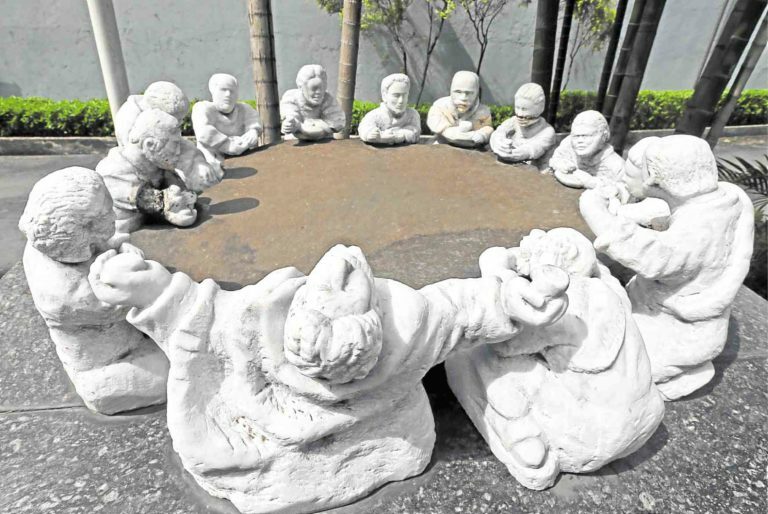 According to an Inquirer article published 2013, the Our Lady of the Annunciation tapped veteran Bicolano artist Pancho Piano to paint the hands of Jesus that aptly represents his actions or the actions done to him during the 14 stations. 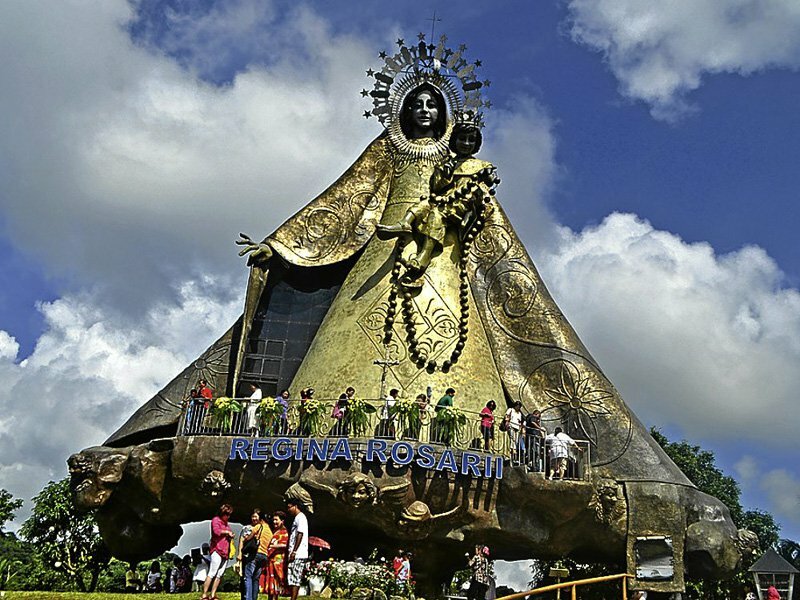 Only a two-hour drive away from Manila, Regina Rica is a commendable destination for devotees of the Blessed Virgin Mary. Overseeing the site’s 13.5-hectare land is an impressive statue of the Queen of the Holy Rosary cradling a young Jesus in her arms. The statue, constructed in 2009, is 71-feet high and was designed by sculptor Jose Barcena Jr. Displayed below the statue are 17 angel-like figures. Located exactly at the foot of Mt. 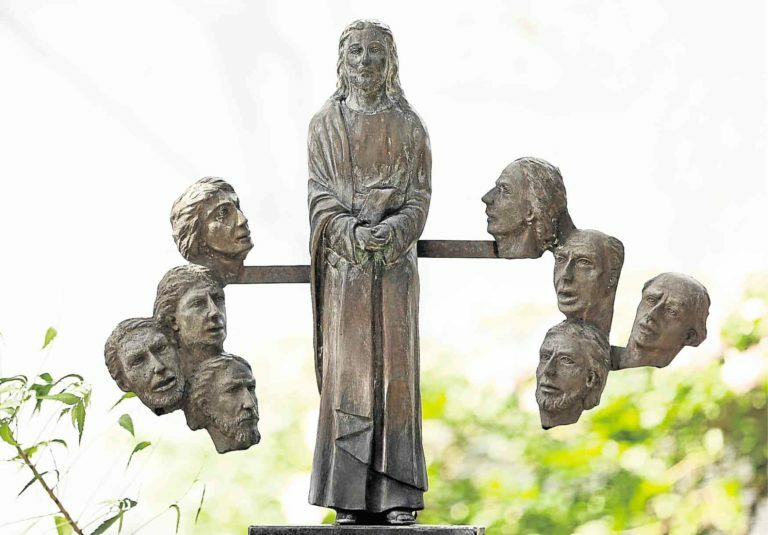 Arayat are impressive life-size tableaus made by artisans who depict all the events leading to Christ’s crucifixion and death. The whole area is a project built by an all-women non-government organization named Soroptimist International. 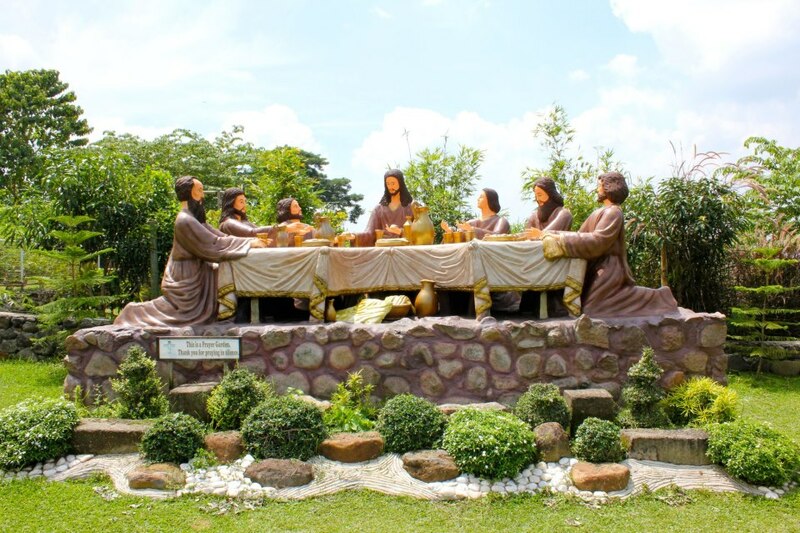 Overseeing the mountain range of Tarlac and Zambales, this 278-hectare ecotourism park is home to two important relics: the 30-foot Risen Christ statue and the True Cross. The True Cross is considered one of the most sacred relics in the country because it is a fragment of the True Cross discovered by Saint Helena of Constantinople (the Reyna Elena)—where religious and historical feast Santacruzan also originated. The cross is believed by many devotees to be a symbol of healing and miracles. 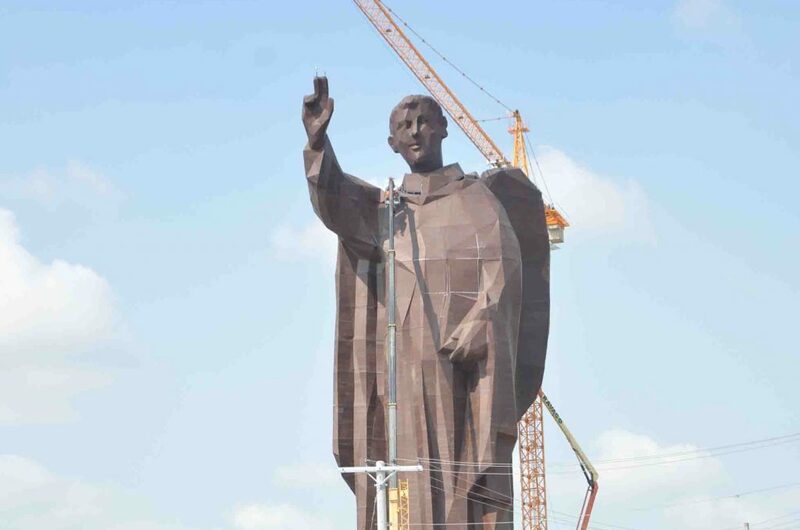 This recently built 50.23-meter statue in Pangasinan of the town’s patron saint St. Vincent Ferrer made headlines this week after being declared by the Guinness World Records as the tallest bamboo statue in the world. Just last Sunday, Apr. 7, a Guinness World Records adjudicator visited the area, made final measurements, and announced the record-breaking achievement of the town which also happened to be in time with the 400th founding anniversary of St. Vincent Ferrer Parish. 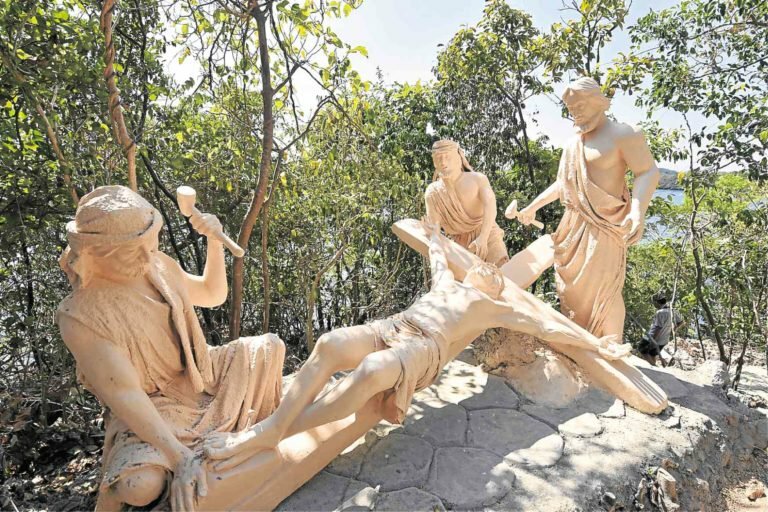 In Baguio, the Stations of the Cross aren’t just life-size. It’s also an installation, along with the other notable scenes in the Bible. Displayed at the Biblical museum in Baguio Eco Park is an actual Holy Land. Visitors will witness actual representations of stories in both the Old and the New Testament. Aside from the Passion of Christ, there are also exhibits portraying Adam and Eve’s life in the Garden of Eden. Pilgrims will now have to go island-hopping to visit this prayer site located at one of the islands at Hundred Islands National Park. The Martha’s Island was transformed into “Pilgrimage Island” in 2017 after the establishment of the 17-meter Christ the Savior statue in the middle of it. 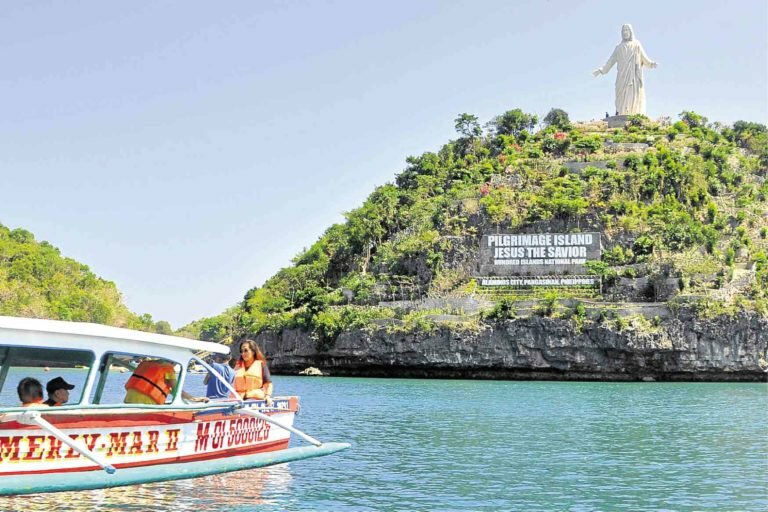 Devotees can ride a boat to the island where a 263-step will greet them along with a landmark engraved with the 10 Commandments and 14 life-size Stations of the Cross figures.